Frühlingsspecial- $ 275 / nt! 5 Minuten zu Fuß zur Gondel! Whirlpools! Ansichten! Zum Mittagessen nach Hause !! Unsere komplett renovierte Wohnung ist der perfekte Rückzugsort von einem Tag auf den Pisten und nah genug an der Gondel, die Sie nach Hause zum Mittagessen gehen können! Alle High-End-Oberflächen und geschmackvoll eingerichtet. Das Hauptschlafzimmer verfügt über ein Queensize-Bett und eine brandneue Beauty Rest-Matratze (Oktober 2018). Das zweite Schlafzimmer hat ein Etagenbett mit einem Doppelbett auf der Unterseite, zwei an der Spitze und einem separaten Doppel. Couch ist ein Queen-Size-Schläfer. Das Deck verfügt über einen Gasgrill und eine malerische Aussicht auf den Berg Vail. Kostenloses WLAN in der Wohnung. Es gibt einen beheizten Außenpool (nicht im Winter geöffnet) und zwei Whirlpools (ganzjährig geöffnet). Tollen Geschäften und Restaurants nur wenige Minuten von der Haustür! Nur wenige Schritte von der neu eröffneten 'Arrabelle' mit Eislaufplatz, Restaurants und Boutiquen entfernt! Wir sind die nächste Wohnung zum Pool und Whirlpools. Es gibt kostenlose, überdachte Parkplätze und zwei Aufzüge. Unser Komplex ist ruhig und gut gepflegt mit zwei Managern vor Ort. We loved the condo and its proximity to the gondola. It was nice size, clean and amazing location. Owner was very helpful! Quiet condo and well appointed. 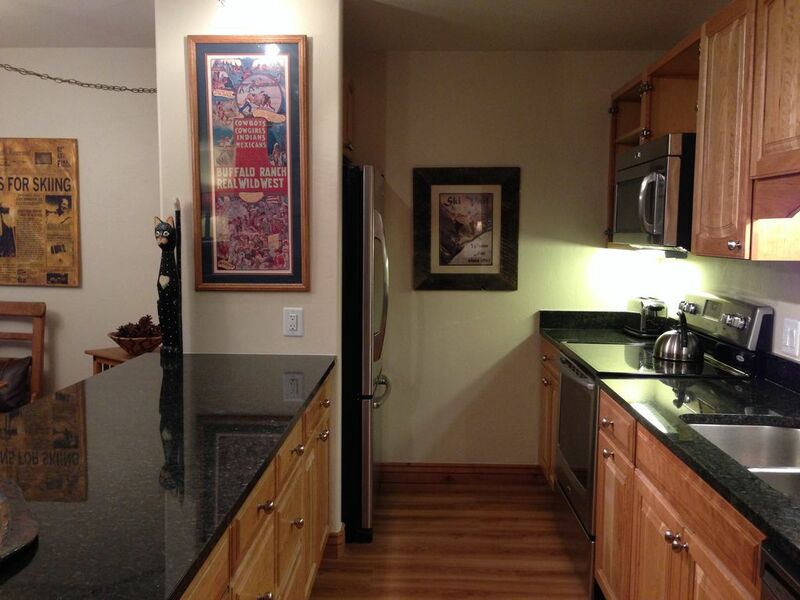 Ski lifts are a short walk away and the location is close for rentals, restaurants and shops. We love the location. It is in a great part of Vail where we can walk around the shops, and there's plenty of restaurants to choose from right in that area. The condo itself was in really nice condition and was very comfortable. Great location & lovely condo! We had a wonderful time in Vail staying here for 6 nights. The condo is so lovely, comfortable, well stocked and a perfect location, steps away from the gondola, restaurants & shops. Lionshead Village is such a beautiful village and the free shuttle is so close to the condo making it super easy to get to Vail Village or take the bus to get groceries (though you may at first need to ask the bus drivers who are friendly). Phyllis was also very helpful and responsive with any questions we had.So overall we were very happy with our stay!! We had five of us for five nights in this condo and we were very satisfied. The location is ideal, just barely outside the entrance to Lionshead village and all that it has a offer. The condo was nice and the kitchen had everything needed to cook at home. The hot tub is steps outside the front door, and the kitchen table gives a view of the mountain. One small note to Phyllis - one of my kids wanted to sleep on the pullout couch instead of the top bunk, and there were no linens for the pullout. Otherwise... very happy!